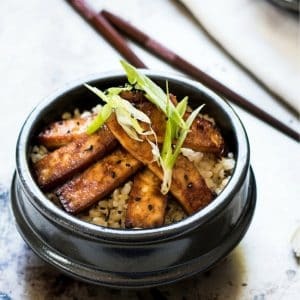 Crispy on the outside and soft on the inside these little bites of Crispy Asian Baked Tofu add great texture to salads (like my rainbow brown rice sesame bowl), stir-frys or sandwiches. I make a big batch and keep them in the fridge for easy meal prep throughout the week. Tofu is one of those hard nuts to crack. It can take a while for you to become a fan and you really have to figure out how to do it right to get over that hurdle. 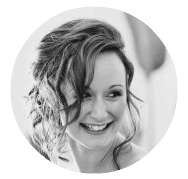 Weirdly my kids love it, so I have been experimenting with it a lot lately so that my husband and I will love it too. Plus, I bought in bulk at Costco and then forgot to use it…so I had a lot to work with in a short time. I baked it, fried it, sautéed it, scrambled it, and even made vegan sour cream with it. It’s pretty freakin versatile stuff! This Crispy Asian Baked Tofu version is fantastic for throwing on salads (like my Rainbow Brown Rice Sesame Bowl), popping into a sandwich or a stir-fry dish. Crispy on the outside and soft on the inside these little Crispy Asian Baked Tofu nuggets add some great texture to any dish. 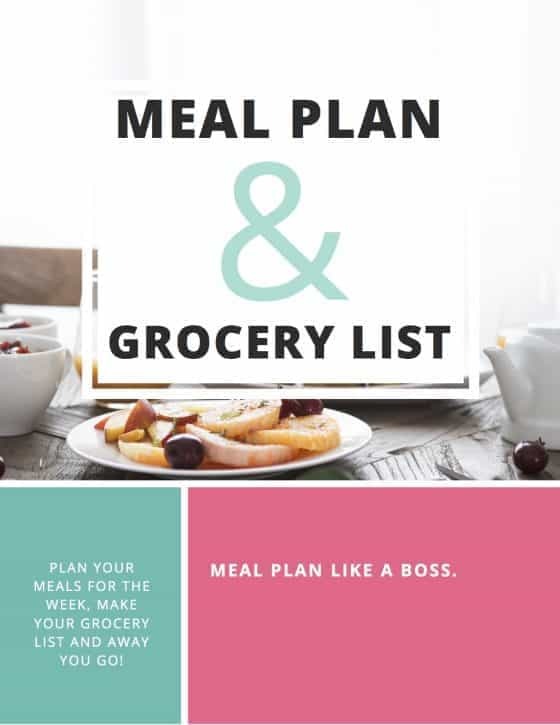 I make a big batch and keep them in the fridge for easy meal preparation throughout the week. 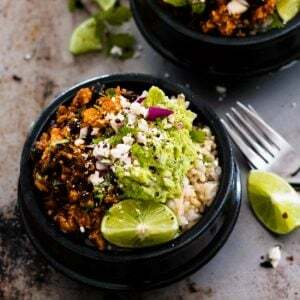 Crispy on the outside and soft on the inside these little bites add great texture to salads (like my rainbow brown rice sesame bowl), stir-frys or sandwiches. I make a big batch and keep them in the fridge for easy meal prep throughout the week. I don’t think I’ve ever tried tofu at least not like this. I think I’ll try this recipe with dinner soon. Thanks for the recipe. 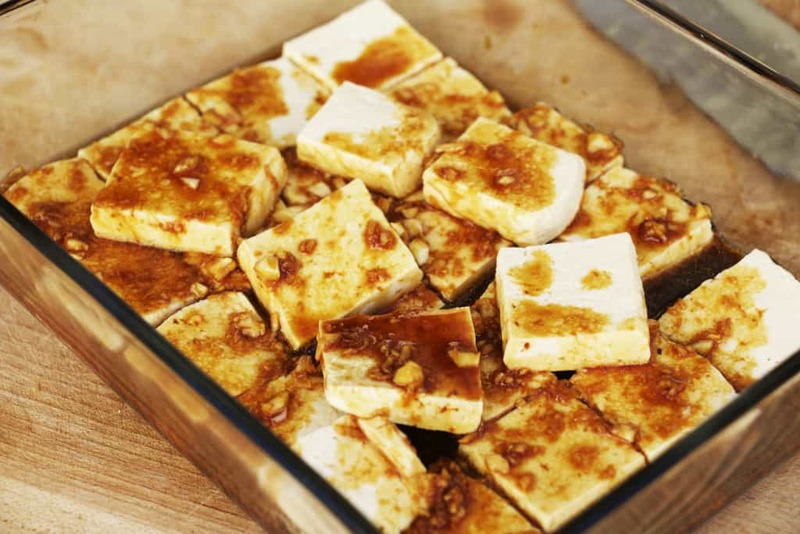 Pinned and I want to try this later, because every time I’ve made tofu it’s disintegrated! Awww thanks 🙂 I hope it works well for you! 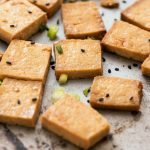 I’ve never baked tofu in the oven before, this sounds wonderful! this looks amaze balls! You’re right.. Tofu is definitely something one must get used to. Crispy outside and soft inside is the best in my opinion! And with those tasty ingredients you listed, I may just make that as a side dish for dinner tonight! I hope it worked wonderfully for you Ashlyn! This looks so yummy! Thanks so much for sharing! Thanks for popping by Kimberly! Yum! 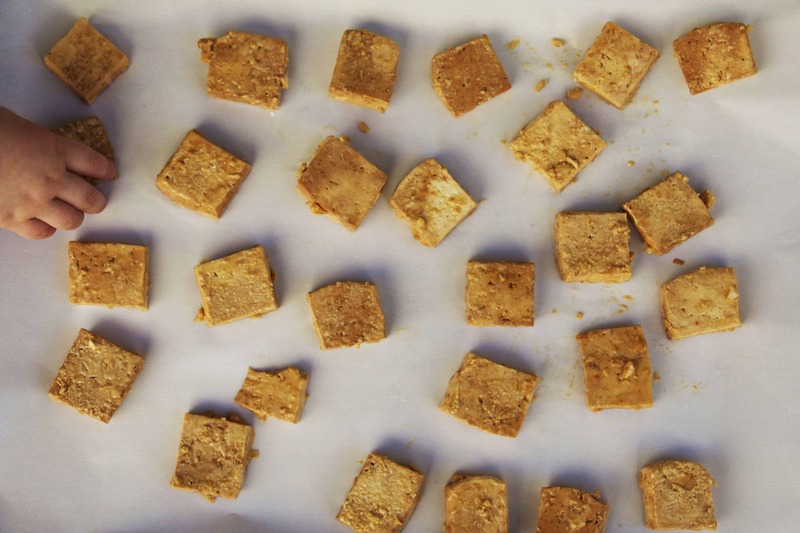 Baked tofu is one of my favorites:) I’ll have to try your version because it looks delish! Thanks Joanna, hope you enjoy!